With most things now being done online by the internet-savvy generation of today, there is a clear inclination towards the cloud environment for individuals and businesses. And, this has given rise to a wide range of cloud storage tools and services over the last few years. However, the increased number of cloud backup and storage solutions has also created some confusion among those who are looking for the ideal one. You may indeed be reading this article to look at a comparison of two such cloud storage services that likely interest you in order for you to choose the best one for your online storage, and file sharing needs. 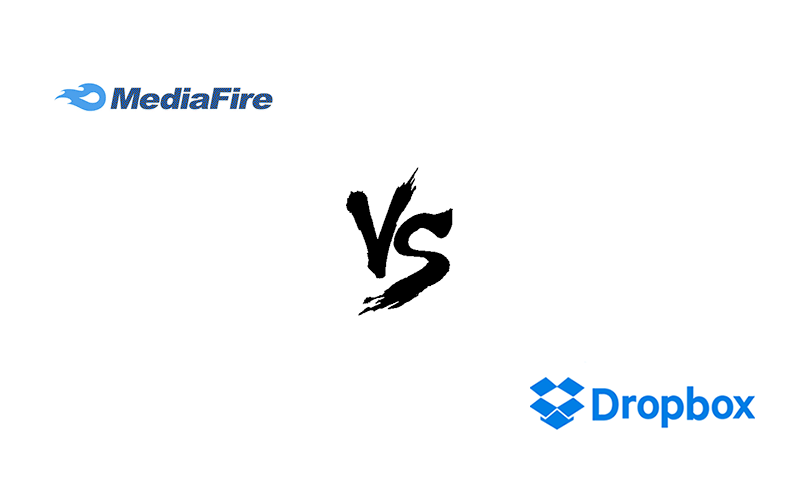 Below is a comparison between Dropbox and Mega, two services that operate similarly with drag and drop, and easy sharing of your backed up files on any device or platform. Based on your budget as well as your requirements for security, file sharing, file syncing, and data backups, you are likely to find either Dropbox or Mega the better choice for you. To help you make an informed decision, we will compare Mega versus Dropbox in terms of their service, features, pros, cons, and pricing. Although Mega is relatively new to the cloud storage market (launched at the start of 2013 by Kim DotCom), it has fast emerged as a great alternative cloud provider for those looking for a properly encrypted, and supposedly safe storage solution. This explains why it has gained such great numbers in such a short period of time, reaching more than 15 million registered users. The founder is known for his previous file sharing service Megaupload, which was infamously shut down for not enforcing copyright takedown requests quickly enough. The opinion is split on trusting Mega due to Kim DotCom’s current legal affairs, and after all he is known as the internet’s bond villain, but also as an activist entrepreneur for online privacy and encryption. The service has garnished a following due to having solid cryptography, and offering 50gb of free storage, which is a considerably larger amount other free cloud accounts. Unlike Mega, Dropbox has proven its worth from almost the start of the consumer cloud computing era almost a decade ago, launching in 2008 among the first cloud file sharing and storage services available. This is way it has been widely recognized as a highly reliable cloud storage solution. It has also gained an increased usage on a personal level by individuals. So, enterprises find it easy to move to Dropbox due to the familiarity factor for its employees, and the ability to quickly share work between professional partners with ease. Hence, it is no surprise that Dropbox has almost 500 million users today, with a brand that just about everyone knows, making them the household name for cloud storage services. Although they are dependable, they have been scrutinized like many other large providers for not being properly secured against “man-in-the-cloud” attacks, leaving company data open to crackers. MEGA’s free 50GB storage plan is generous to say the least and is hard to compete against on free storage. Dropbox’s basic plan only offers 2GB storage, with the possibility to increase to 16gb by referring friends to signup. Also, Mega offers a greater variety of paid plans, compared to Dropbox. However, Dropbox offers more storage for a lower price, more bandwidth on free plans, and unlimited storage on the business plan including advanced support, making it a better choice for companies as well. With any of the Mega Pro packages, you get two months free if you purchase the annual plan. Additionally, there are no file size limits, even on the free plan. Paying for yearly plans provides a 15-17% discount. Dropbox has a file size limit equal to your account, therefore there is no limit, as long as it is uploaded from the desktop or mobile app. Dropbox.com website uploads are limited to 20 GB. Dropbox is renowned for its simplistic drag and drop interface, and single folder that syncs up to all your devices seamlessly. There’s no learning curve, you just upload your files, folders, organize them as you wish, and everything can be accessed identically across any platform. MEGA’s signup process is just a simple as Dropbox, and operates similarly, but uses multiple folders, instead of a single root folder for all. You must select a hard drive, and the folders or files you wish to sync. You can still drag and drop your files as well, but only the synced folders will be shared across devices. MEGA also allows you to download your files as a zip, or add a star to selected files to mark them. Dropbox and Mega provide similar features for file sharing, syncing and versioning. However, due to its ability to offer secure file sharing and its support for real-time sharing and parallel syncing as well as numerous browser extensions for faster uploads, Mega holds a slight edge over Dropbox here. Mega allows you to sync any folder from your PC with any folder on the cloud. For this purpose, once the Mega app is installed, you can select a particular folder location on your PC where you can move all the files that need to be synced. You can also sync any number of folders in parallel and even view the modifications instantly. It is further possible to carry out selective syncing. With the sync client (called MegaSync), you can also easily move all the files that you intend to upload in the downloaded app and then the transfer is initiated when your computer is idle. This type of syncing happens automatically. This can be good or bad, as you may not want to have any automatic sync operation in the background. In addition, files can be shared via links with contacts. However, you need to share the encryption key as well in order for the recipient to view the files. Even the mobile apps give you access to the data files located on your mobile devices, along with the ability to upload media from anywhere to the cloud. You can also stream your media files from your mobile devices. It also offers highly secure collaborative features for teams. You can undertake real-time sharing and view updates of your contacts as well. You can even maintain different versions of every file with Mega. The Firefox and Chrome browser extensions further enable quick loading. With Dropbox, you simply need to determine a specific syncing folder location. All the files that should be moved to the cloud can be placed in this folder for seamless (automatic) syncing to the cloud. The single folder is a much simpler way to keep your files shared across all devices, versus having multiple folders with MEGA. Instead of uploading all your files, you can even choose only a few files for syncing. You can also access and modify any of the files in your syncing folder, while you are offline. Those changes will be synced as soon as you are online again. File sharing for this service provider is done via links, but there is no encryption key attached with the link. So, while it is easier to share files, there is no enhanced security attached. This means that anyone can easily check your data files if they get access to your shared file links. Like Mega, it too allows you to maintain previous file versions and thereby ensures quick recovery in case of any data loss or accidental data deletion.With Dropbox, you also get better collaborative features, while working in a team environment, through the multi-user version control. Mega is the clear winner in terms of security as it offers end-to-end encryption for your data, along with private encryption keys to which only you have access. MEGA adopts the highest levels of security standards, and even uses “The Privacy Company” as their slogan. Being based in New Zealand, it can fall on solid subscriber data protection laws. Mega also provides you with always-on privacy and user-controlled encryption, and high level 2048-bit RSA end-to-end encryption for your private or public key, ensuring that even the NSA cannot intercept your data. In other words, it makes sure that all the data stored on its servers are encrypted. Even files that are in transit to or from the servers are encrypted. The best part is that, while maintaining this client-side encryption, Mega does not hold the decryption key. In fact, it allows you to control the encryption by making you hold the keys. Thus, no one else is able to do anything with your data, which is encrypted. You can also make the decision to deny or allow access to your data files by others. Moreover, Mega does not store your account login or similar passwords. So, when you ask for a reset of the randomly generated code for the first time after you have signed up, you get the opportunity to save the master key, as well as re-download it once logged in. However, you are solely responsible for it. If lost, you will have no choice but to wipe your account and start over. 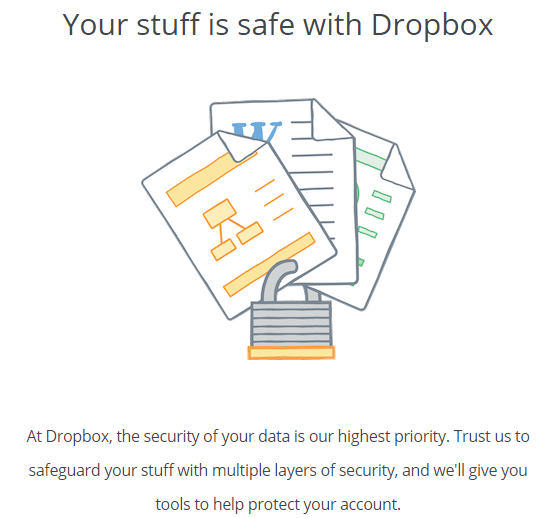 Unlike Mega, Dropbox does not offer any private encryption keys for its the customers. Yet, it has its own encryption keys that are accessible to the Dropbox team. Clearly, this service provider does not offer the same level of privacy that MEGA does, but it is not to say that they do not apply standard security measures. AES 256-bit encryption is used on stored data, and transfers across Secure Sockets Layer (SSL) 3.3 / Transport Layer Security (TLS), but critics such as Edward Snowden claim that data can be intercepted before being encrypted as it uploads to the account. In addition, Dropbox has had issues with internal security glitches that lead to data leaks. At least, two-factor authentication is available for better credential security. Both services cover pretty much every popular platform available both on computer and mobile platforms. The services work almost identically and allow for seamless file synchronizing and sharing. MEGA has expanded their software support compatibility to cover all platforms. Dropbox provides apps and software for all platforms for easy access to your synced folder. Both services offer stellar transfer speeds with very little difference to call a winner. However, results can differ for users depending on their bandwidth and location. On our tests, they both generally performed well. Multiple files, folders synced: Maxed download at 25 Mbps – Maxed upload at 8-9 Mbps. Multiple files, folders synced: Maxed download at 24 Mbps – Maxed upload at 8 Mbps. Pricing: Dropbox Wins – But MEGA offers a massive 50 GB free! As you can tell, both services come neck in neck, and it really comes down to what your needs, and budget are. Both services are similar in operation, and performance, but the main differences to point out are simplicity, and security. If you want a simple, Dropbox is your best choice thanks to an easy single folder where all your data can be synced, versus MEGA’s multiple folder system, which is more extensive to manage. If you want lots of free storage, MEGA’s 50 GB free account is an unbeatable offer, but if you want unlimited storage, Dropbox’s business plan has you covered at $15 per user, per month. Overall, Dropbox offers more storage for less money, and better business oriented services. If security or privacy is your top priority, MEGA is the clear choice, with high end-to-end encryption, private master account keys, and the ability to share encrypted files with unique keys. Additionally, unlike Dropbox, they are not located in the US, and subject to Federal data collection laws. 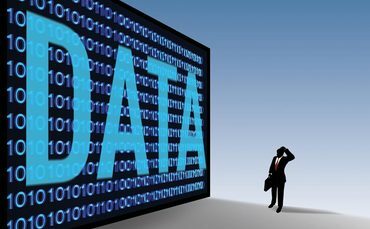 I hope these comparison points have helped determine the best choice for your data backup and storage needs. If you have previously used either Mega or Dropbox, please feel free to share your valuable experiences in the comments sections below. Updeted MEGA info: 50 GB free, 1 TB for 99,9 Euro in one year payment plan. Yeah, this surprised me too, Though even at 15 Gigs free, their free plan is 7.5 times Dropbox. However, while I do still use it, it is deceptive or at least misleading advertising, IMHO. That I could see the 15 Gigs is not described at all until after you signup; even then you have to look closely to see what’s up.